Following is an extract from 'Cambridge County Geographies - Nottinghamshire by H H Swinnerton (1910):- 'Nottingham is the metropolis of the lace-making industry. Of the 25,000 people so engaged the great majority are women, and more than four-fifths are in this city. The industry has many branches. At the outset it calls for highly skilled and trained designers, for the sale of the lace depends largely upon the attractiveness of its design. One or several machines are set to manufacture one design until it has gone out of fashion. Sometimes the 'run' is only for a few weeks. Occasionally it goes on for several years. A fancy lace does not come from the machine in single narrow strips as it is sold. A great many strips are made at once side by side. Their edges are held together by long threads running their whole length and they thus form a great sheet - a 'piece' as it is termed - many yards long and several wide. The width of the piece, and therefore the number of strips in it, depends upon the length of the machine. In the earliest this was only 18 inches. In the newest, driven by steam or electric motor, it is as much as seven or eight yards. Whilst the lace is in the piece it is bleached, dyed, and finished. After this the strips have still to be set free one from another by drawing out the long threads. There are also numerous threads covering the lace which must be clipped away. 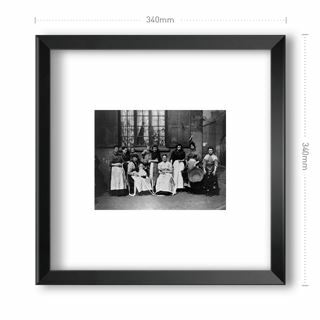 Sometimes clipping frames are used, but both pieces of work are done mainly by hand and find employment for thousands of people in their own homes. 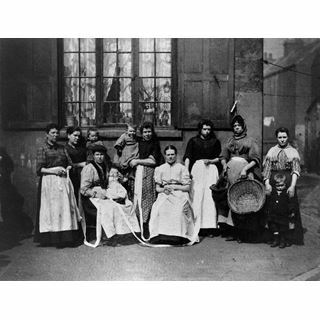 It is a familiar sight in the side streets of Nottingham to see women sitting at the open door on a warm summer's day drawing, clipping, and scalloping lace. The main divisions of the lace-trade are edgings, insertions, curtains and nets, plain nets, and warp laces. From Nottingham and the neighbourhood lace is sent to all parts of the world, more especially to the United States and South America. Large shipments are also made to all parts of Europe and the British colonies. The lace industry is the child of the hosiery industry, but in Nottingham the child has quite outgrown its mother.' Lace left the factories in the large webs of unfinished cotton or silk up to 420 inches wide and 50 yards long. 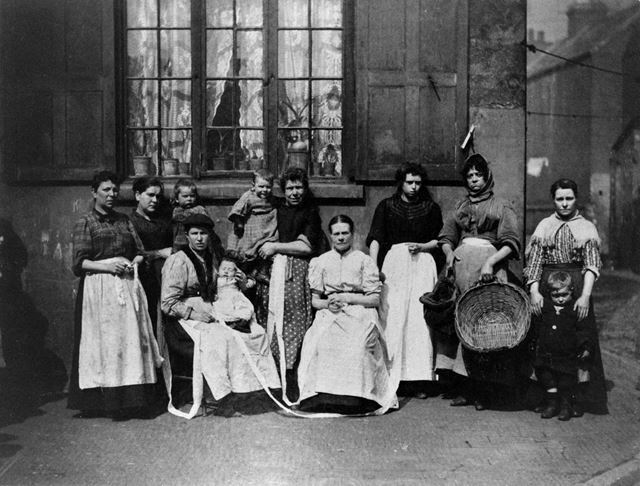 From these the black lead needed to be removed, and they needed to be bleached, dyed, dressed and be subjected to a number of other processes to convert them into finished lace acceptable to the public, whether it was a one inch breadth or edging, curtain or tablecloth, or hat veiling, mittens or shawl. All finishing processes were centred in and around Nottingham and all were labour intensive. 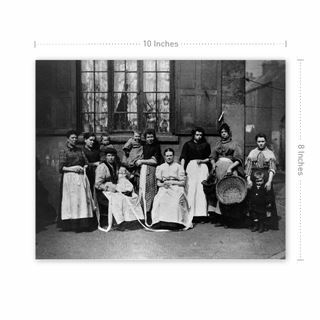 By far the largest majority of workers employed in lace finishing were female. Knotted Alley probably got its name from the lace menders who would stretch each 'piece' over a smooth black table, one person either side and gather up and slide the 'piece' over the table to find the flaws. These were then drawn up and tied into a large knot. 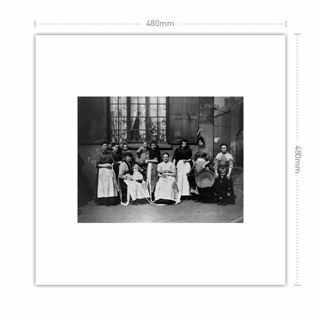 When all the 'piece' was systematically and carefully 'overlooked' it was wrapped and priced, depending on how many knots there were, it was then given over to the menders pictured in this photograph.